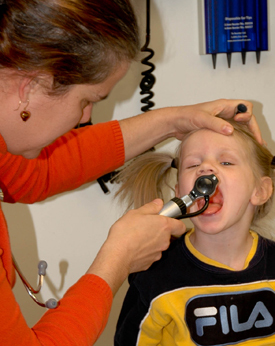 A pediatric provider from our practice is “on-call” 24 hours per day, every day of the year. We ask that you call during office hours for any questions or problems which are not urgent in nature. During office hours, it is our policy to offer a same-day appointment to all sick children. After hours, if your child has an illness (or you have a question) you feel is urgent, you may have the provider on-call paged. The most direct way of doing this is by simply calling our main office number – the outgoing voice message will give instructions on how to page the on-call provider. If you can’t wait any longer, but the situation is not a life-threatening emergency, bring your child to the ER of either Children’s Hospital or MGH in Boston. They will give you good care in accordance with our standards and practices regardless of what the problem may be, and they have other ways of getting in touch with us. We see sick children 365 days per year. We offer same day sick visits 7 days a week during our hours of operation. When you page us after hours our pediatric providers are skilled at deciding how urgently your child needs to be seen. Unless you are concerned about a life threatening emergency always page us before deciding on visiting an Emergency Room or Urgent Care Clinic.